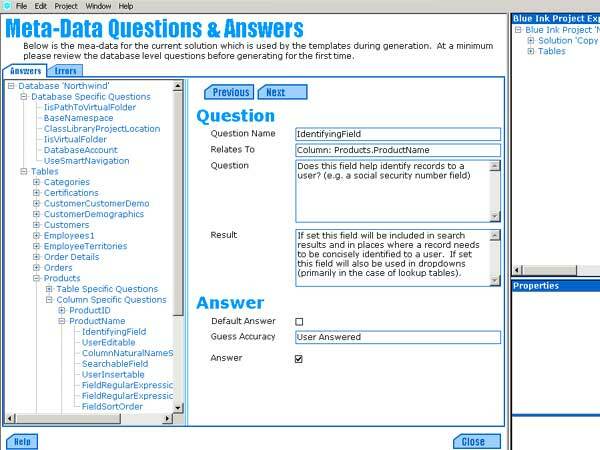 Meta-data provides information about a database schema that templates use to customize their output. Blue Ink intelligently pre-populates meta-data based on the database schema, but allows users the ability to refine and customize. The JAG methodology page describes the process in more detail.